Qantas customers travelling from Brisbane now have a stylish new space to relax, work and dine before their overseas flight, with the Qantas Brisbane International Lounge unveiled today. Qantas International CEO Gareth Evans said the international lounge was the first of several new facilities the national carrier would open in the coming months at Brisbane Airport as part of a multi-million dollar upgrade. “This stylish and modern lounge is the perfect space for our customers to relax before their flight,” said Mr Evans. “It reflects the natural beauty of the Queensland landscape through natural light, furniture and design, offering a new standard in premium travel from Queensland’s capital. “This lounge marks our continued investment in the entire customer journey. We’ve almost finished the refurbishment of our A330 fleet at the Brisbane Maintenance Facility, added new services to Japan and New Zealand, and the domestic terminal lounges are set for a complete redesign in coming months. The Brisbane International Lounge is based on the award winning Hong Kong and Singapore Lounge concept, with the food and interior design taking inspiration from the local region. The lounge – split across two levels – offers nearly 30 per cent more space than the previous lounges, with interiors reflecting the Queensland landscape. The furniture is inspired by a relaxed approach to living in the tropical north with timber café seating and low slung lounges, and inset rugs bring colour and texture reminiscent of the reef, sandbars and waterways of Queensland’s coast and inlets. Seasonal menus are designed by Qantas Creative Director of Food, Beverage & Service Neil Perry with a focus on working with local food producers. A new signature breakfast hatch on the mezzanine level will see chefs serving Rockpool-designed breakfast dishes to order such as healthy breakfast bowls, bircher muesli and French toast. The lounge will also offer a premium hot and cold buffet. A new lounge concept – Quench – will focus on hydrating customers before they fly and serve a range of non-alcoholic beverages including syrups from Bickfords and Buderim Ginger and a signature tisane blend designed by Rockpool. The hydration station will be rolled out across future Qantas lounge developments. The lounge will also feature a bar serving craft beer, premium wine, and all-day barista coffee by Vittoria. A key feature of the lounge is a bespoke glass and light art installation called The Pulse of Our Ancient Land created by artist Jenna Lee from Indigenous design agency Gilimbaa, based in Brisbane. Inlaid into the glass is an abstract interpretation of the land of the QLD region as viewed from above, brought to life through glass, watercolour and lights. The artwork depicts the lands of the Jagerra, Yuggera, Turrbal, Quandamooka, Nunnukal, Goenpul, Ngugi, Kabi Kabi/Gubbi Gubbi and Yugambeh people, and was inspired by the stories shared by a specially formed group of respected Elders of each of the language groups of South East Queensland. Working with cultural consultant and community leader, Shannon Ruska, the Elders provided the core vision for the work, entrusting Gilimbaa and Jenna with their stories and transforming their knowledge into a contemporary interactive art installation. The lounge also features a business centre, Wi-Fi, TVs with Foxtel, shower suites with ASPAR by Aurora skincare products and a Sofitel service experience. Following the unveil of the international lounge, Qantas will open a new domestic lounge precinct with a new Business Lounge and refreshed Qantas Club – including a new Valet experience – from early 2017. 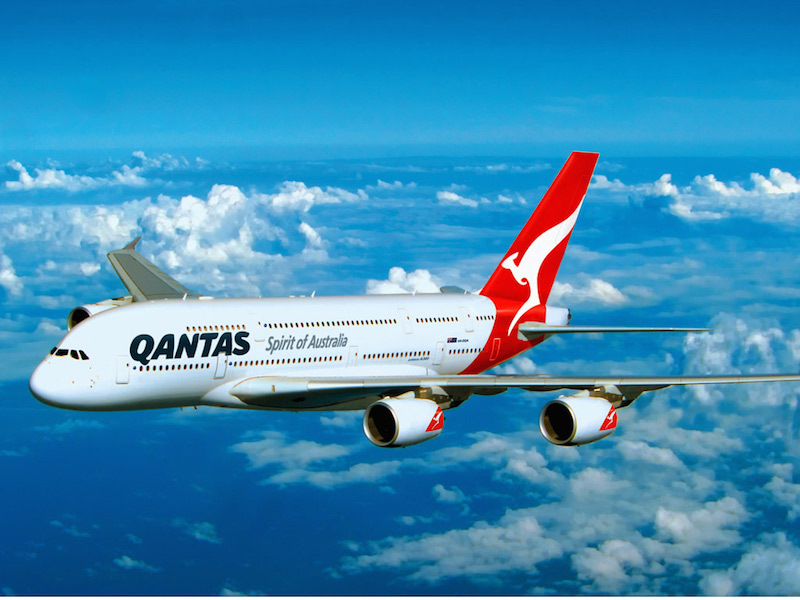 Qantas’ operates 57 direct weekly international services from Brisbane to Auckland, Christchurch^, Hong Kong, Los Angeles, Noumea, Port Moresby*, Singapore and Tokyo. The Qantas Brisbane International Lounge will open to Qantas customers travelling in Business, eligible Frequent Flyers and oneworld members on Thursday 20 October.